EXCELLENT SERVICE ... 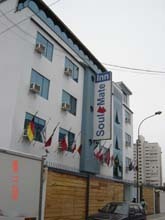 The hotel is very nice, wonderful location and staff is very fine. Was created specially for the modern passenger, the business person, the tourist who search a different and special place to rest with personalized service, the comfort you need according of your requirement and at the same time feel at home. Equipped with all things you need; we offers a Service of first level, Security, Comfort, agreed with Standard of exigency of our guests as well as our unmistakable Peruvian Hospitality. Even if you are traveling for Businesses, Pleasure or Rest. Perfet to acommodate to it family during the trip of vacations or the friends who travel together. FOR STAYING MORE OF 3 DAYS THE AIRPORT PICK UP SERVICE IS FOR FREE!!! 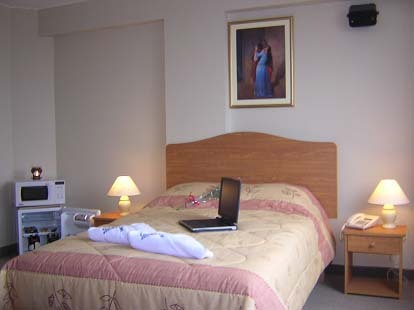 We are located just 20 minutes from the International Airport.